Pararrin Start up MYO Event!! 1. Must be a member of OeriaWorld group! 2. Only one slot per person! 3. Pararrin from this event may not be sold but may be gifted or traded. 4. Common and Uncommon traits only, unless you get a special slot. 6. You do not have to use the provided base, but your Pararrin must have a visual reference to be accepted. 7. 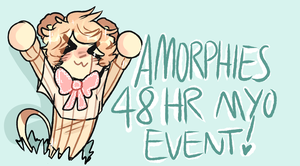 The event ends DEC 15th but there is no time limit for your MYO to be approved. 8. If your MYO doesn't comply with your allotted slot or with current anatomy/trait info, it will be deleted. If you didn't get a special slot, S/SR traits can still be purchased! Mutations may also be purchased! Trait info and a common/uncommon base can be found here! Lore can be found here! Special slots can use any of the traits in and below their rarity rank (but still only 1 per trait area!) as long as the overall rarity doesn't exceed maximum ★s! Mutations are also purchase only! How to get your Pararrin! 2. 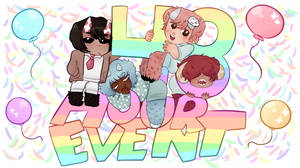 Post the following comment here to be added to the slots! 3. Submit your entry to this folder when completed! Please include a list of traits and their rarities and the overall ★ rarity of your Pararrin. ..It couldn't hurt to try, right? It is closed, sorry! But there will be a raffle going up soon if you'd like to join! Journal link: I'm on another CS train ! Hi hi~! Your Common/Uncommon MYO Slot is approved! You've been added to the list! Link to Poll/Journal: Pararrin MYO Event! Check it out! Hello~ Your Common/Uncommon MYO Slot is approved! You've been added to the list! Link to Poll/Journal: Pararrin MYO Event! Sorry about such a late reply!! There are only Common/Uncommon slots left, but you're welcome to have one, if you'd like!! Ok! Your Common/Uncommon MYO Slot is approved! You've been added to the list! Your Common/Uncommon MYO Slot is approved! You've been added to the list! Your Common/Uncommon MYO Slot has been approved! You've been added to the list! There are no more popcorn slots left, but you can have a regular slot if you'd like! Okay! Your Common/Uncommon MYO Slot is approved! You've been added to the list! Secret Word? : I love popcorn, but I don't think there's any left. So maybe a Bonbon? Additional Traits? : I just want a cute batter critter~! Your Rare MYO Slot has been approved! You've been added to the list! Your Rare MYO Slot as been approved! You've been added to the list! This is a Journal is to help control the mass of advertising journals I make! Your Common/Uncommon Slot as been approved! You've been added to the list! Check out this MYO! really awesome species!! Additional Traits? : I'm happy with UC or C traits if I can't get rare and below! Sorry, I missed it on the sheet! Scarf ref has been added to it now! Awesome! Can't wait to see the result! >v<! I'm planning on starting up a discord for rp stuff soon! I don't know how rp works on DA but if I can figure out how it works, I'll look into it! Your Rare MYO Slot is approved! You've been added to the list! oops should be fixed! Once you join the MYO is approved! 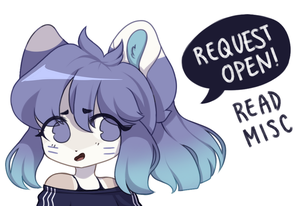 Join requests are closed at the moment for the group, but I will join the instance I can! Should be fixed! Once you join the MYO slot is approved! I just found working paired eyes/mana eyes on the trait rarity doc as a mutation. Can mutations be used for MYOs? Mutations are paid only! They can be used for MYO but you have to pay at $4/400P per mutation. Oeria Discord!The OOC Oeria World Discord is open! There won't be much activity from me until the new year, but feel free to come in and chat!! I'd love to hear how people feel about my species and hear the ideas you have too! Oeria World Discord!There's an OOC discord server for Oeria now! I won't be too active in it until the new year, but feel free to come chat if you want to! Pararrin Start up MYO Event! !Rules!